The modern day superhero is a celebrity that walks the red carpet and is seen in magazines and films worldwide. How did these once normal folks get their super powers? Through the many people who are more focused on what’s bigger and brighter instead of looking in the mirror and seeing the leader standing before them. 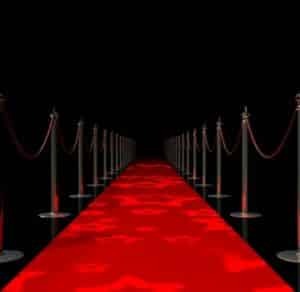 What’s the big deal with the red carpet anyway? The modern day superhero is a celebrity that walks the red carpet and is seen in magazines and films worldwide. How did these once normal folks get their super powers? Through the many people who are more focused on what’s bigger and brighter instead of looking in the mirror and seeing the leader standing before them. What’s the big deal with the red carpet anyway? Hungry crowds screaming for a chance to see that face they saw on the big screen. You would think it’s a foreign being from a planet far, far away who just landed… like we’re making first contact with the unknown. If that were the case, I could see what all the fuss is about. As a society of people, we are responsible for the gods and false idols we put in front of us and bow down to. I see so many people in this city being distracted with this comic book display of glamor. You did not come to earth to star gaze, and what you are gazing at is not a real star, just an ordinary person who has a talent and skill and got into a system that mass produced it a thousand times over. While you are off reading about them in gossip mags, hitting up their favorite clubs or bars in hopes of catching a rare glimpse, or getting a earful by watching TMZ, you are actually lowering you own self-image. It makes you forget what is truly submerged in your heart and the reason you are here. It’s a big distraction from reality at best. Celebrities are just like you and me, living and learning how to grow and overcome fears, while experiencing this thing called life. They all eat and sleep and go to the bathroom. So why are they treated as gods while masses of people feel insecure in their presence? I’ll tell you why–power. People think that if you have money and fame, you have power. In our society you do, but that is only because we made it that way. Is it really power? No–real power is love. It’s not telling people what to do and acting like a spoiled child just because you can. It’s taking what you have and making a difference in someone’s life. When I hear celebrities complain about the media and their fans, I send them blessings. I think, “Hey, the universe has given this to you. Stop whining and do something with it to make change.” As for the people of Los Angeles and other parts of the world who worship false idols, remember you are created for a reason, not to star gaze. So put down that telescope, go to the mirror and marvel at the wonderful gift source has made. Focus on that.